GIRLS OF F. K. C.
BOYS OF F. K. C.
The stone plinth is 7¾" high by 28¼" wide by 10" deep. The memorial is 22" high overall and the headstone is 14¼" high by 24" wide by 4" deep. 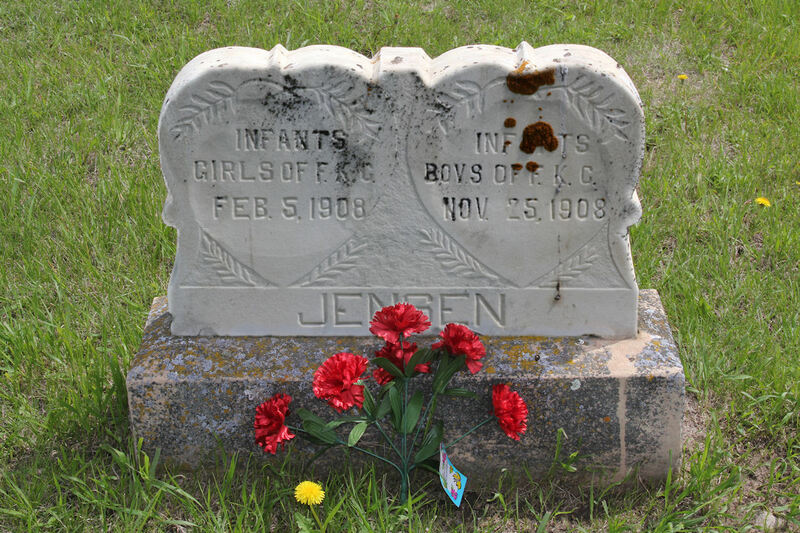 "F. K. C." refers to the childrens' parents, Ferdinand and Kari Cecilia Jensen who are buried in the Flaxton Cemetery.